It's time! 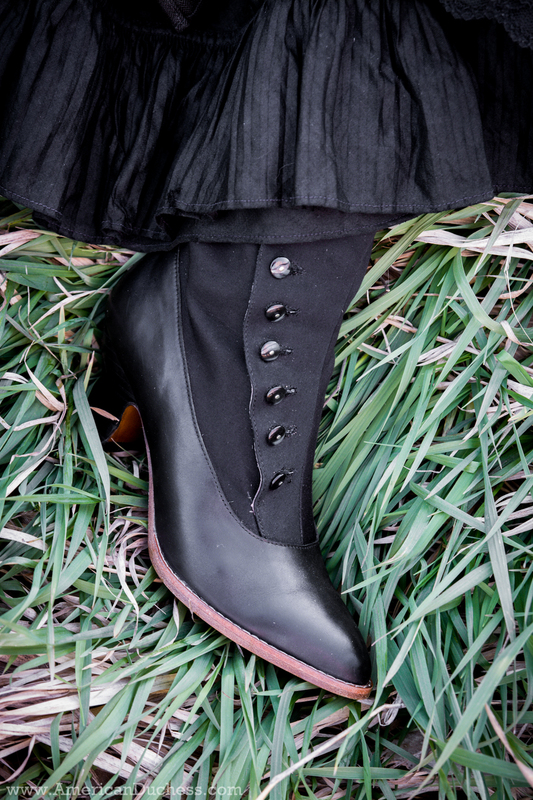 The new "Manhattan" Victorian and Edwardian Button Boots are now open for pre-order. I've been talking a bit about these new boots in previous posts and on Facebook, but the proof is in the pudding - go have a look! Special Opening Price, Discounts and Freebies for all pre-orders! Woo! 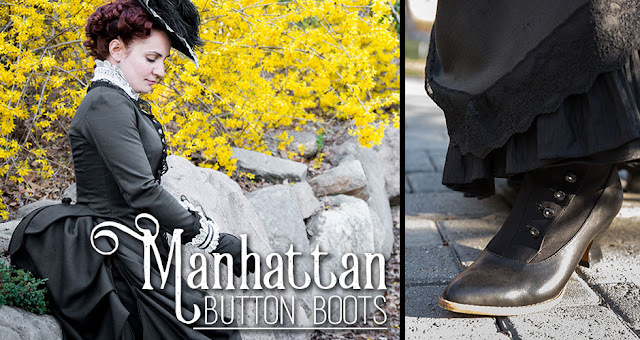 Later this week we're introducing a new style - "Manhattan" Button Boots. 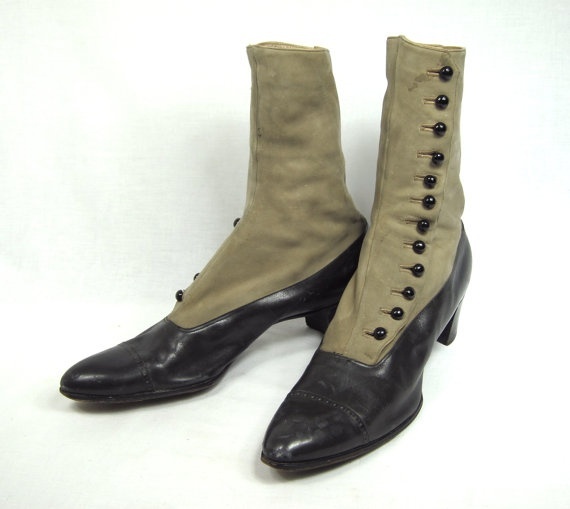 Following the uber-popular "Tavistock" boots, the time seemed right to introduce a variation for Summer - c. 1890 - 1920 cloth-topped boots in black-on-black or brown-and-tan. 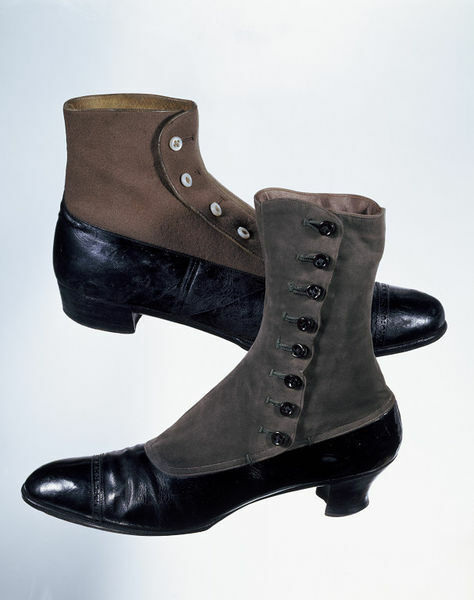 Cloth-topped boots, sometimes called "galoshes," developed from early leather-and-fabric gaiter styles. You're all familiar with the early and mid-Victorian foxed booties with bits of leather on the toes and sometimes heels - this practicality continued into the late Victorian period with the heel and toe foxing eventually meeting so the whole bottom of the boot was leather. 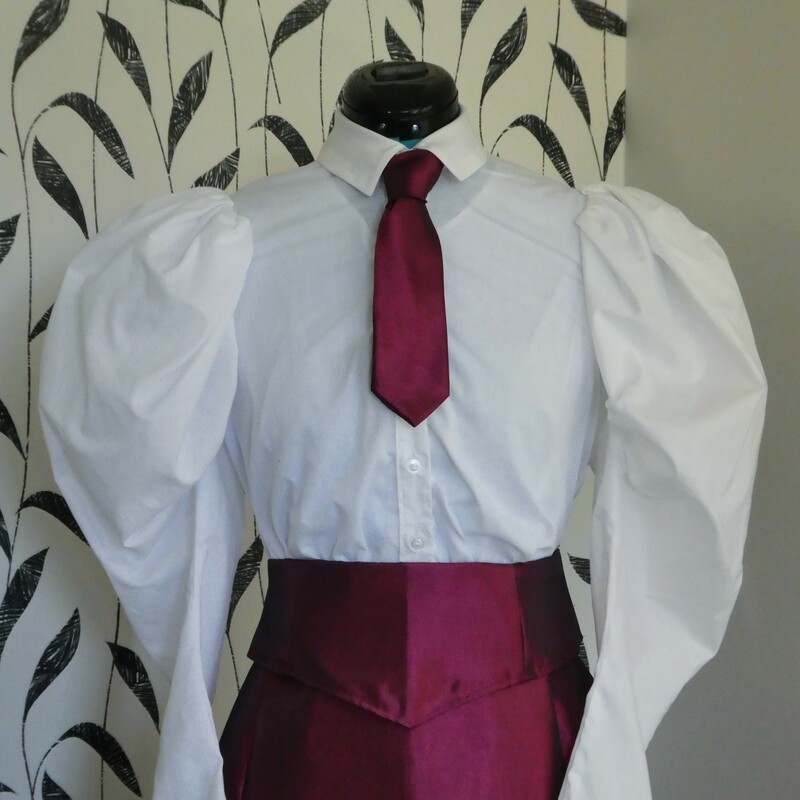 Part of this was also fashion. 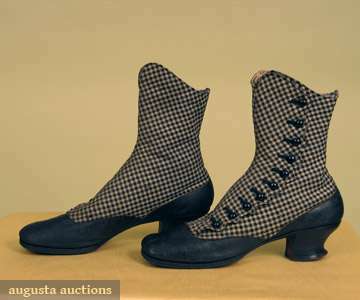 Women's cloth-topped boots came along a little after men's, as the popularity of women's tailor-made, menswear-inspired clothing grew. 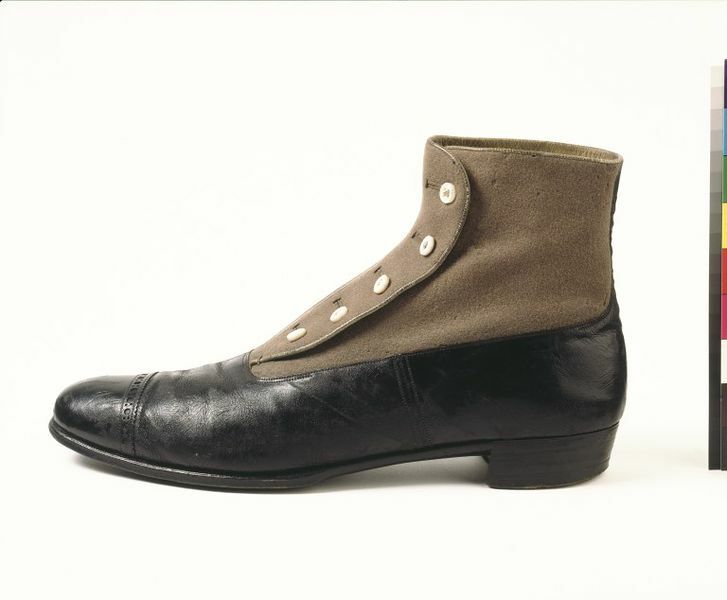 In addition, women were participating in more sports and often wore spats for activities such as cycling. 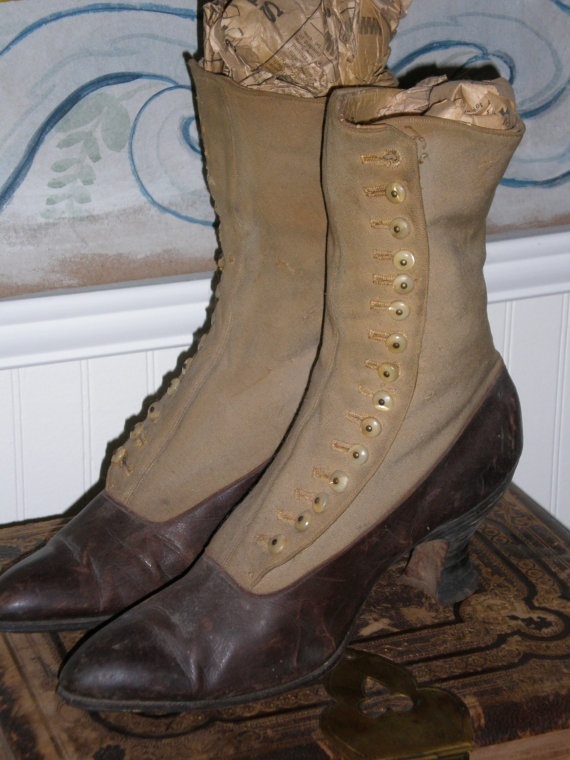 Sporting fashion carried over into daywear, with boots like these combining the shoe + spat look. 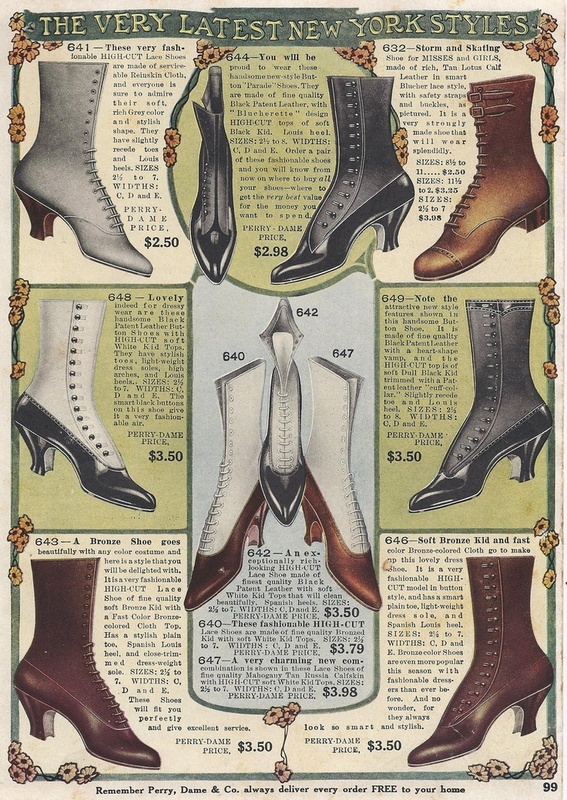 Gaiters for sale in the Sears Catalog, 1920. 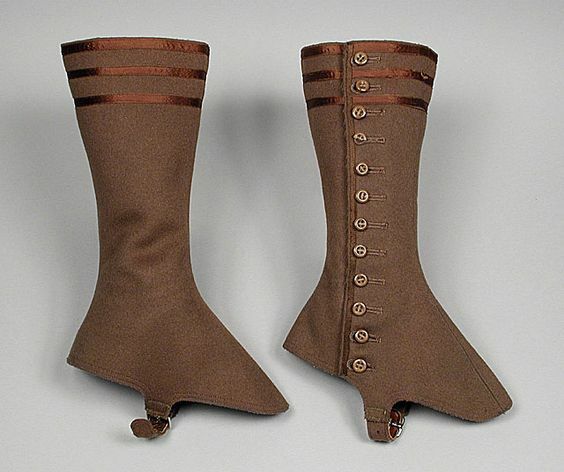 From "Everyday Fashions of the Twenties"
Cloth-top boots became widely fashionable in the 1890s and reached the height of their popularity between 1910 and 1914 (Rexford, 2000). 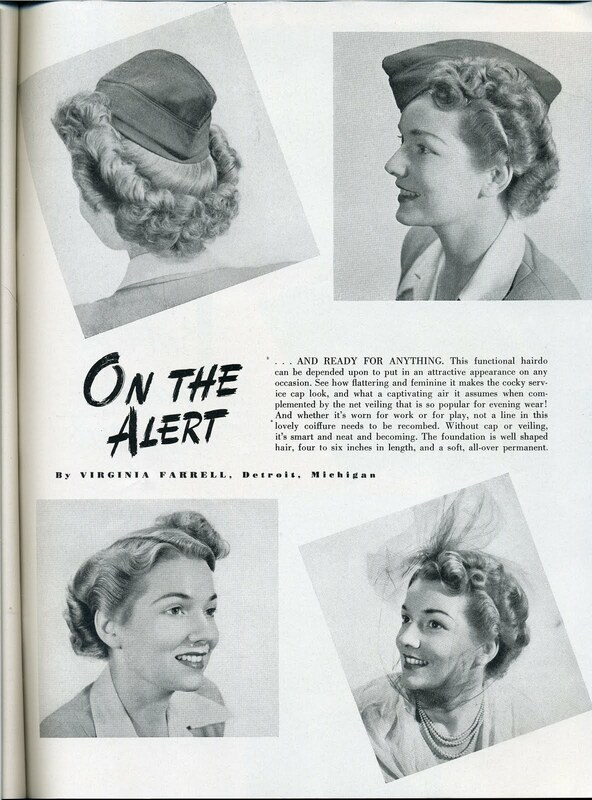 Tone-on-tone colors such as black, tan, and white were popular as well as two-tone versions such as black/gray, brown/tan, and black/white. 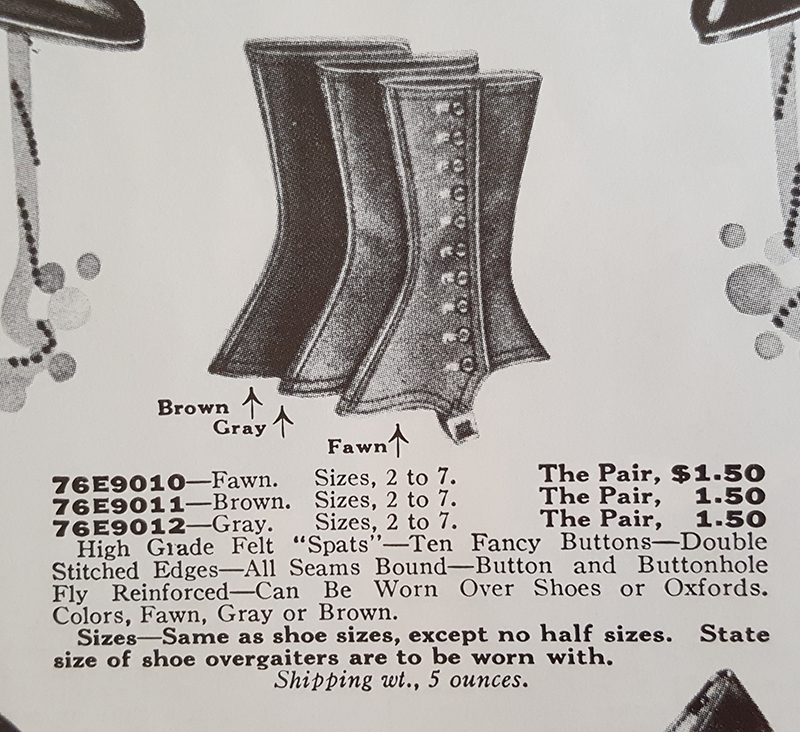 Sears Catalog, 1915 - cloth or "dull kid" tops. 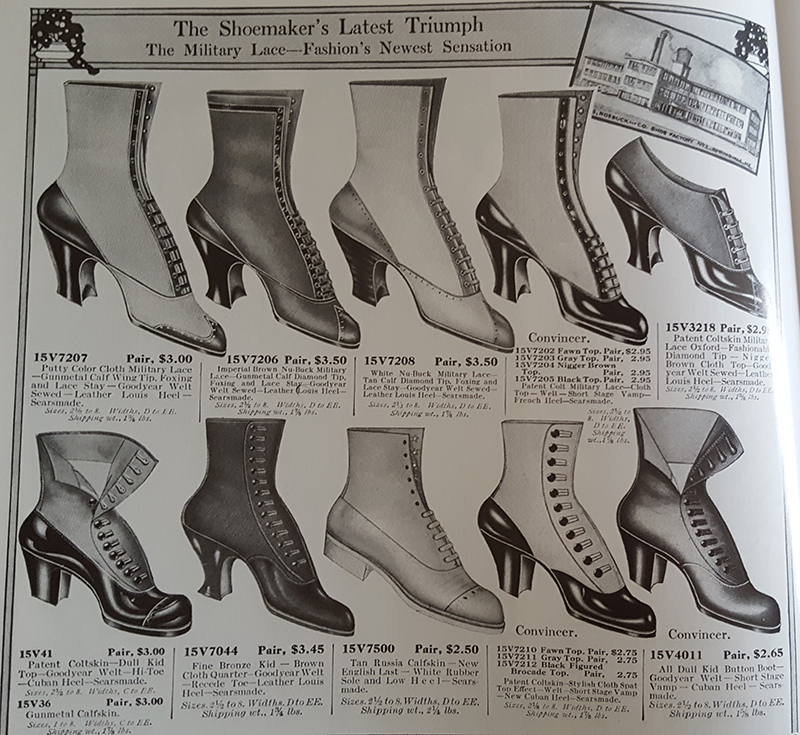 From "Everyday Fashions 1909-1920"
As always, our new "Manhattan" boots are based on original examples. 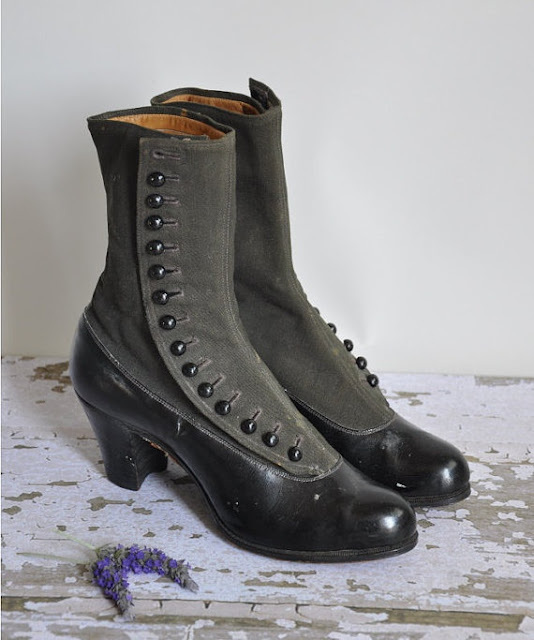 My antique button boot collection has been growing, and an original black-on-black pair stood for the patterning of our reproductions. 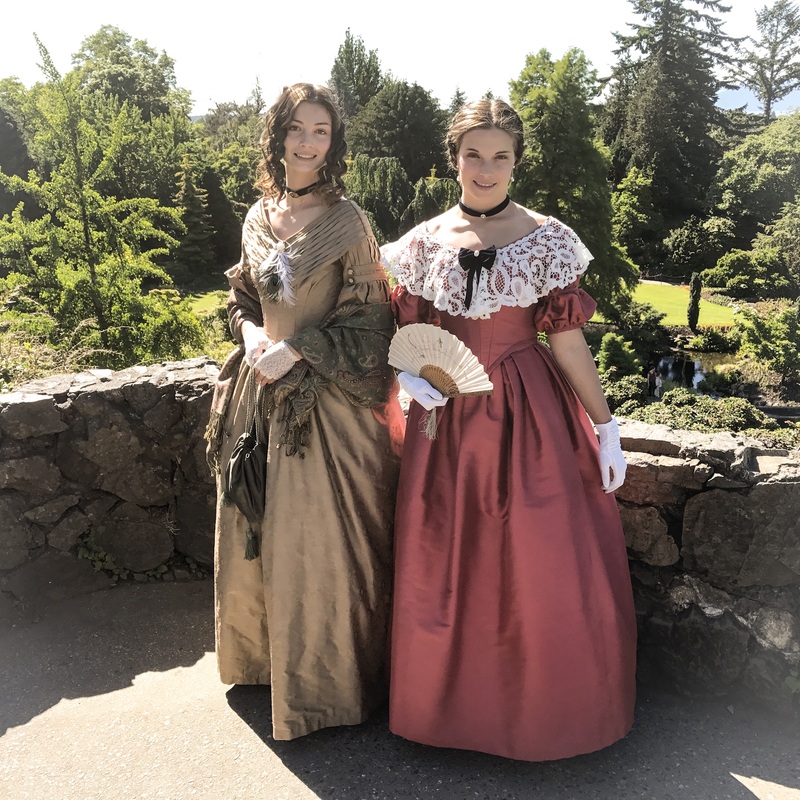 The Manhattans share a last with Tavistock, but we've made a few changes. 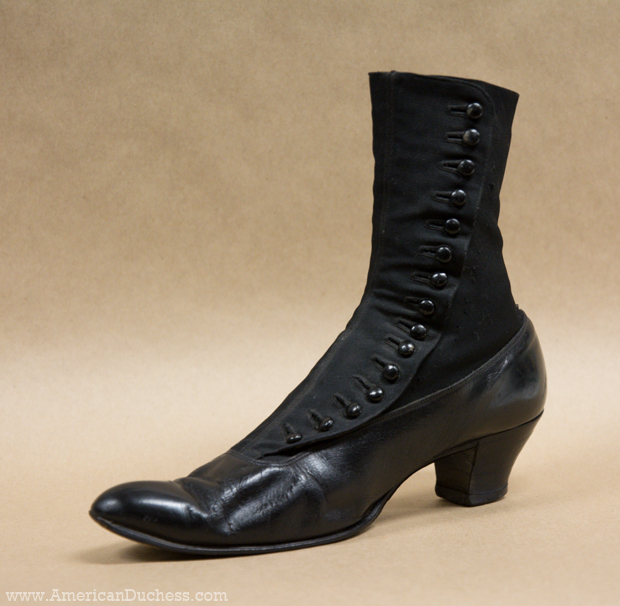 The heel is the same shape and height - 2 inches - but is covered with leather in a faux stacked design. The soles of Manhattan are real leather with a double thickness under the ball of the foot, and a welt top stitch. Manhattans do not come up as high on the leg as Tavistock, and we have omitted the use of elastic. Don't worry, though - you can still fit the ankle and leg by moving the buttons, either taking them in or letting them out: there is a 1 inch overlap on the button fly to allow this. Manhattan boots are opening for pre-order on Thursday, April 14. 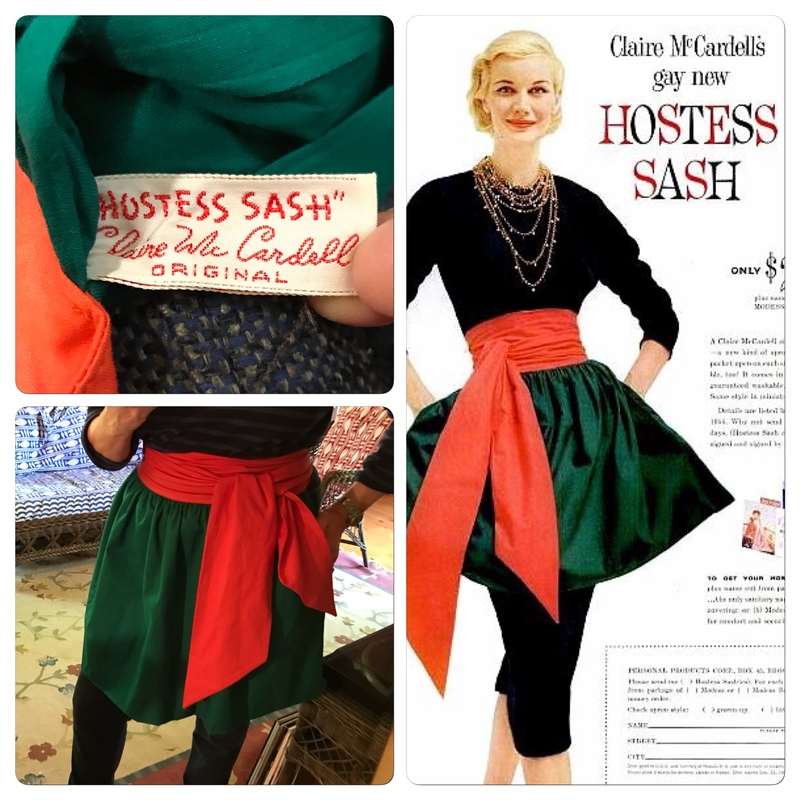 We have them at an introductory retail price of $160 and, in addition, you will have your choice of a free pair of stockings or a $10 discount as a "thank you" for placing your order early. The boots will arrive in July. Watch this space, your inbox, or Facebook for the announcement! 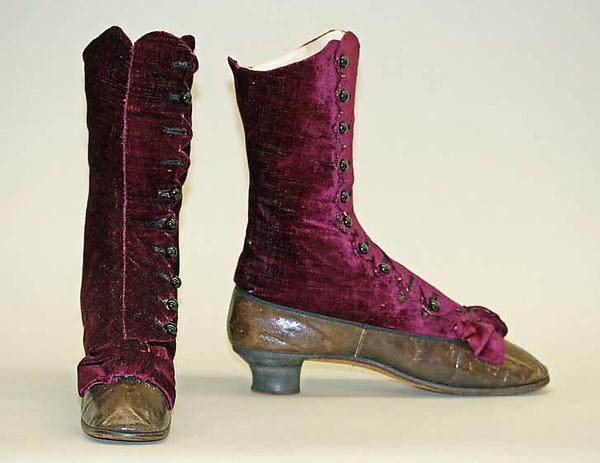 Rexford, Nancy E. Women's Shoes in America, 1795-1930. Kent, OH: Kent State UP, 2000. Print. 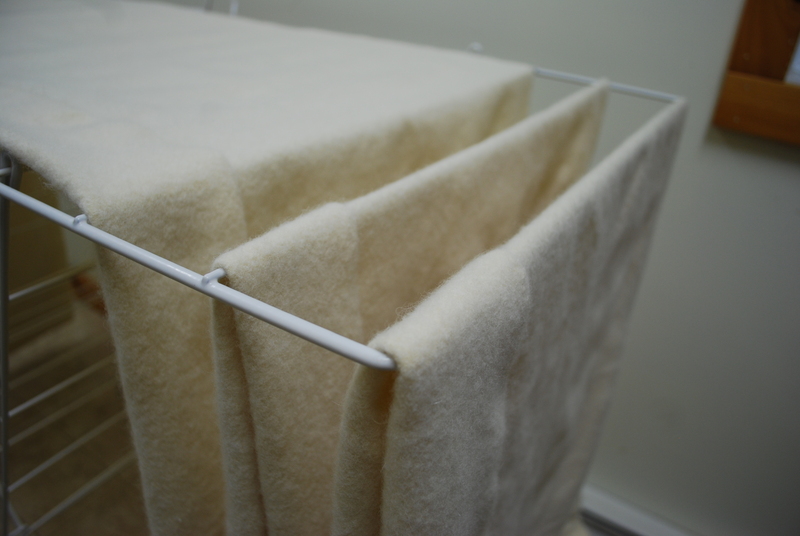 Blum, Stella. Everyday Fashion of the Twenties. N.p. : Dover Publications, 1981. Print. 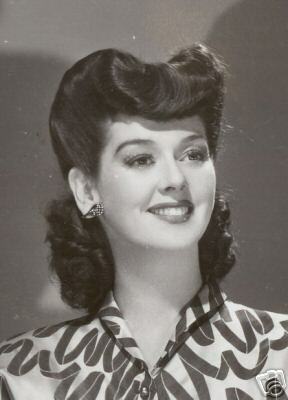 Olian, JoAnne. Everyday Fashions, 1909-1920: As Pictured in Sears Catalogs. New York: Dover, 1995. Print. It's Sunday. 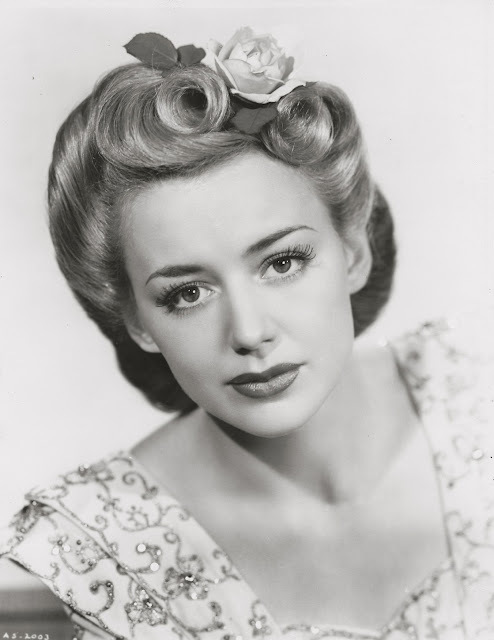 I was meant to do a 1940s photo shoot today, but it's raining. Yup, rain in the desert. It rains 10 days a year here, and I manage to schedule photo shoots on all of them. 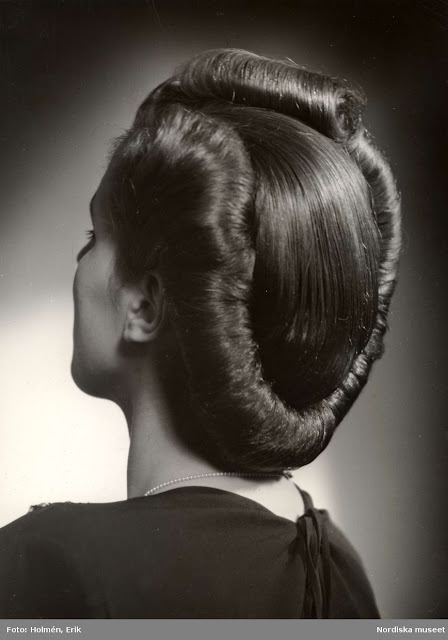 My model, like me, has very fine hair. 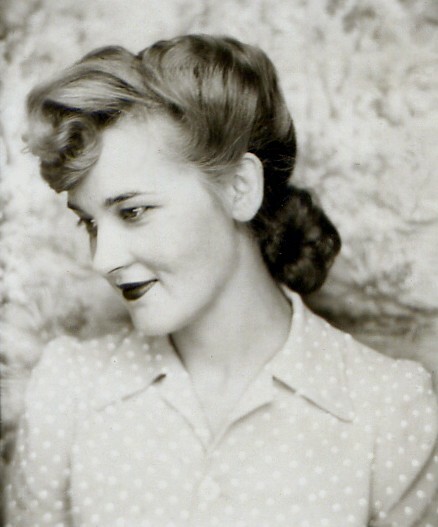 The challenge will be to get the fluff and volume that 1940s styles demand without wet setting her hair (time unfortunately does not allow) - the work will have to be done with heat, which is always a risk with fine hair, and effects the final look of the style too. 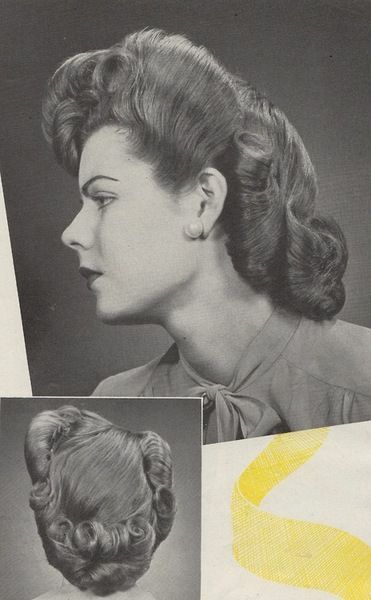 Therefore I'm leaning towards an updo with smooth rolls rather than a fluffy, girlish style. 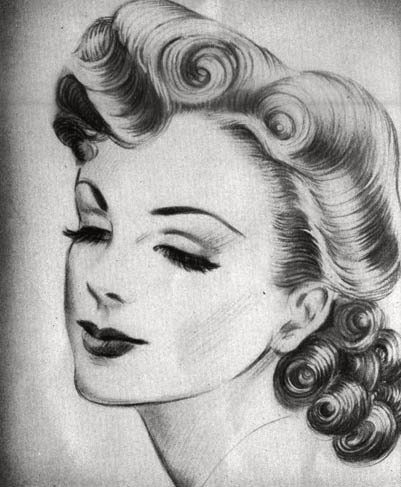 My plan is to get as much curl into the model's hair as I can with a curling iron, then tease and smooth. 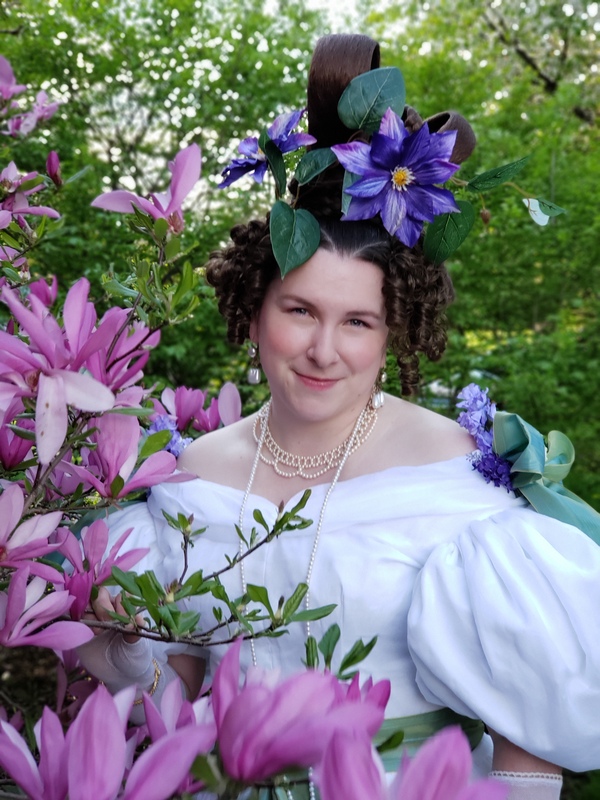 I have a nifty little hat to cover the back of the head, so most of the styling will be in the front of the hair, which holds plenty of possibilities with victory rolls and pompadour options. 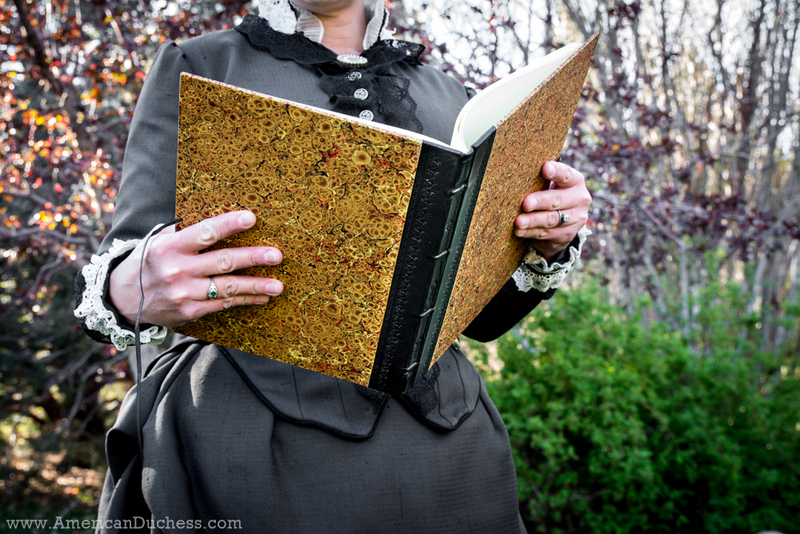 I recently received a fabulous gift: a hand-made custom blank book from Paul McClintock of From Common Hands Studio. I had seen Paul's work at Williamsburg. The marbled covers, each unique, are not only eye-catching, but have a long and fascinating history. In my own memory (which is neither long nor fascinating), I can recall books with marbled paper covers on the book shelves of my grandparents. They always accompanied very old books - often non-fiction, but the occasional classic novel - with yellowed pages and that musty smell of ancient knowledge that is both strange and intriguing. 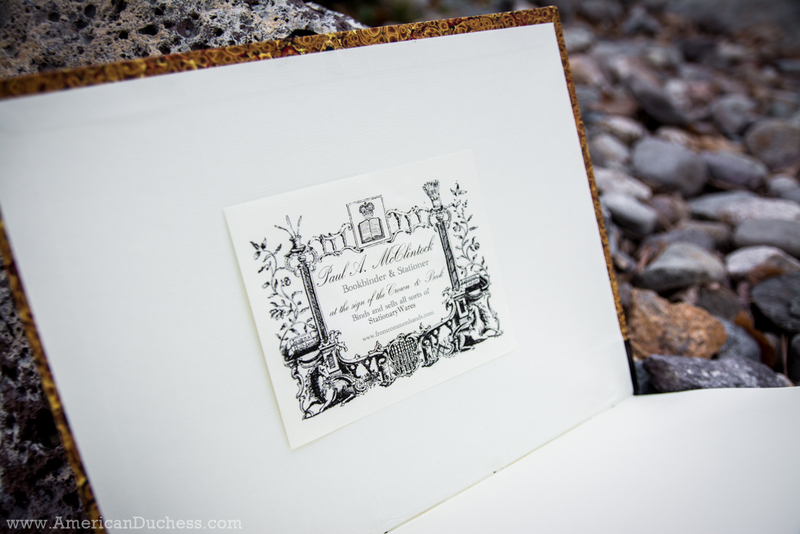 My book is a blank book, full of good quality paper perfect for sketching and little watercolor paintings, which I love to do in historic locations. Paul makes blank books like this in various sizes with a large choice of marbled papers as well as different leather binding options. 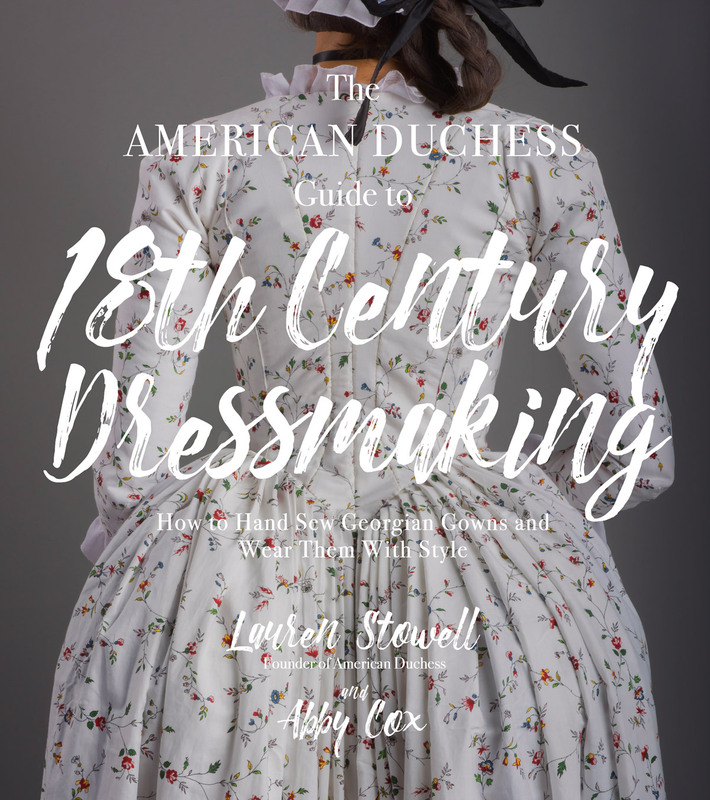 In any size, one of these books is a great thing to have for historical reenactments and in-costume events. It's attractive, accurate, and functional too. In addition to the blank books, From Common Hands reproduces period childrens books, domestic manuals, instructional pamphlets, novels, political publications, and plenty more, each again with the marbled cover and leather binding options. You can also get hand-cut quill pens, sealing wax, powdered or walnut ink, and beautiful stationary paper. 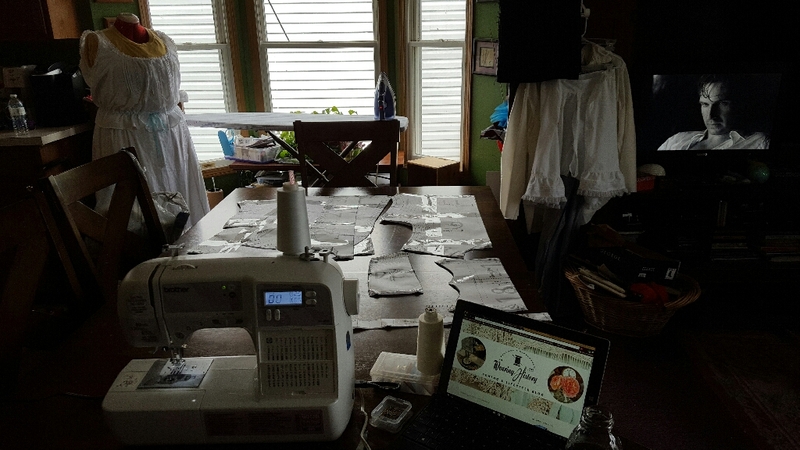 If it's to do with historic writing and papergoods, Paul has it. 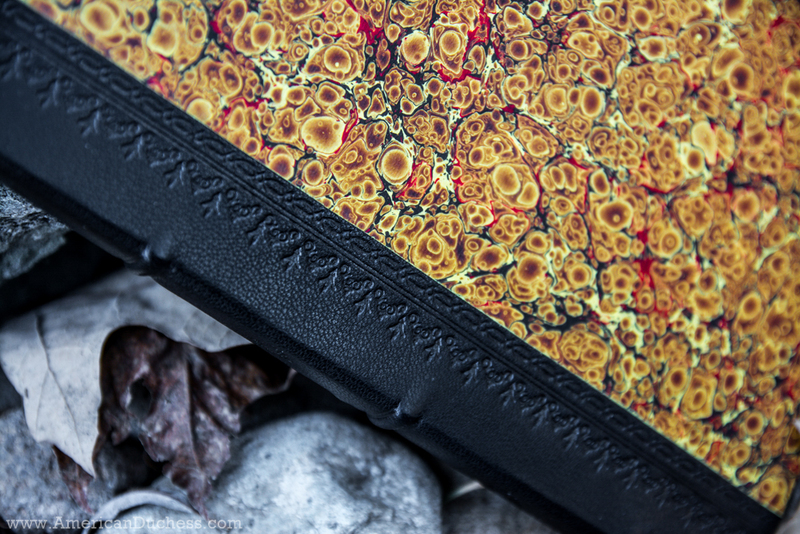 The hand-tooled leather binding is exquisite. I'm ridiculously impressed with my book. 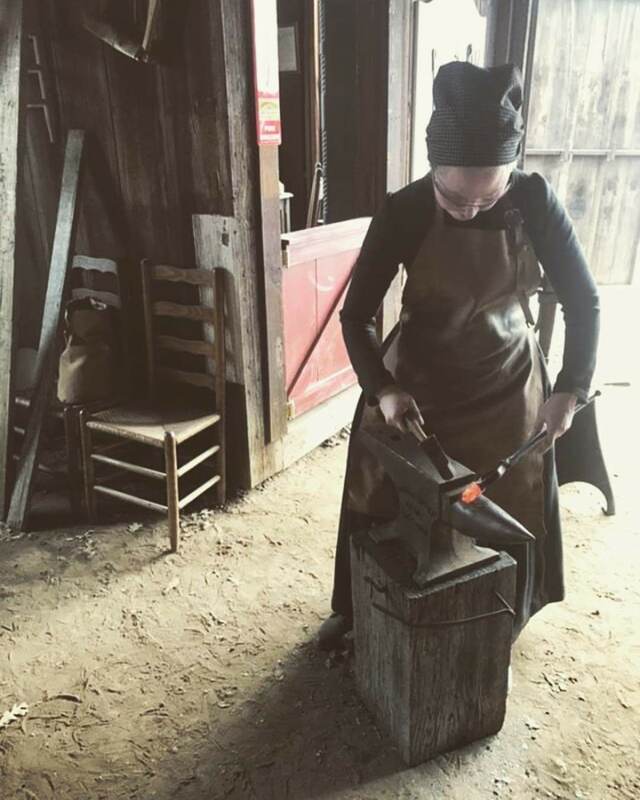 Paul's work is authentic, skilled, and hand-made, and as should be expected, worth the money. 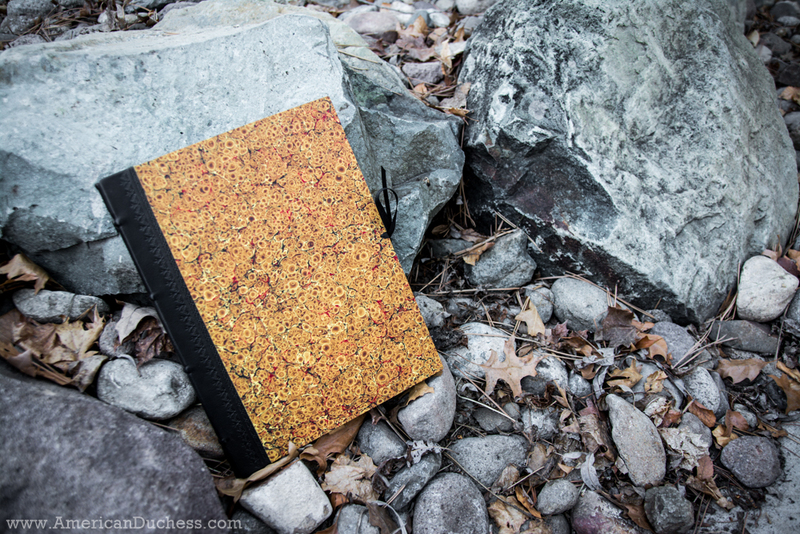 The books will run between $30 - $85 depending on the size and binding, and take about 6 - 8 weeks to make and ship. 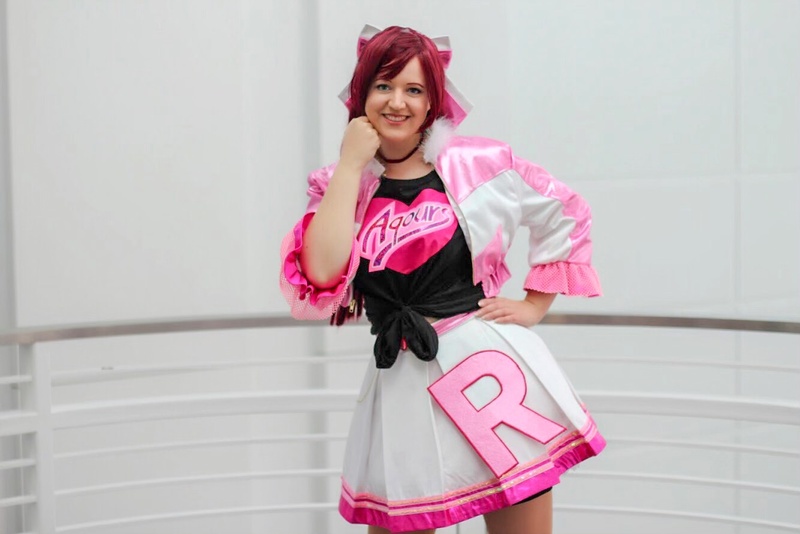 As an addition to your display or persona, though, they can't be beat. The book comes with an authentic paper label on the inside cover.